You can find the new sharing feature by seeing a new icon on the list. Earlier the space was taken a Photo and a Video option which has now been merged into Camera – which should have been done earlier! To make things easier, there are now two tabs in the WhatsApp media folder – the previous media folder and now a documents folder. Although the update consists of only PDF file format, it is only a matter of days when WhatsApp will roll another update to make all file formats available. Did you update your WhatsApp? 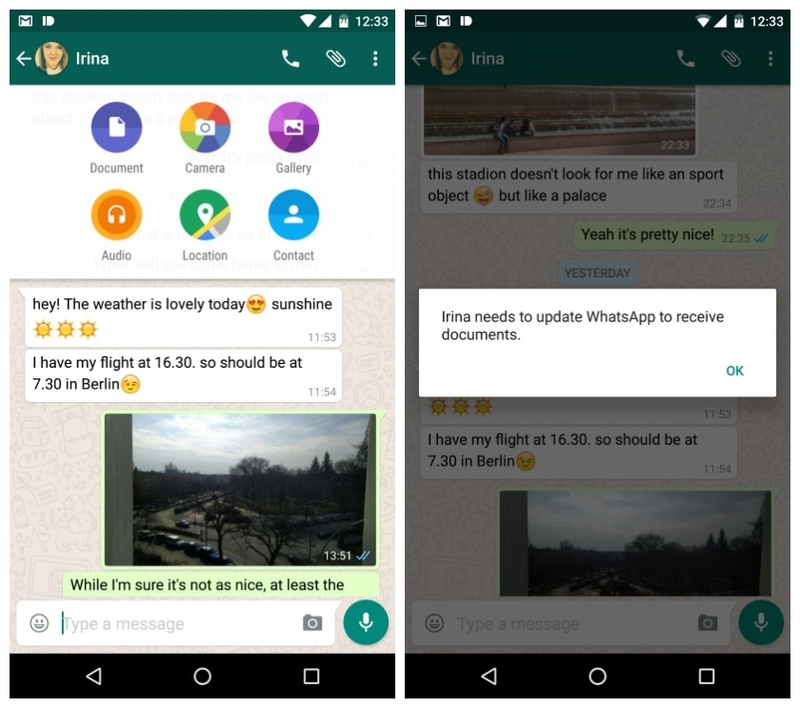 Let us know your thoughts on WhatsApp releasing this new update!